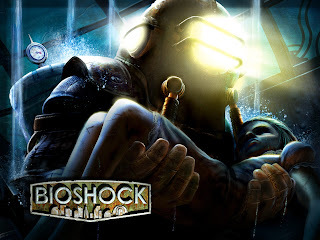 "It's something completely different that we're crafting," Irrational Games boss Ken Levine tells me as I press him for details on BioShock for the PlayStation Vita. Levine revealed during Sony's media briefing at E3 2011 (pictured) that the new handheld would be home to a unique experience set in the BioShock universe. "It's not BioShock Infinite ported to the Vita," he reiterates. Moments earlier, Levine highlighted a point of frustration that comes with making announcements. While happy to discuss BioShock Infinite's October 16 release date, his Twitter feed immediately filled with questions about the "next thing, or the 'Collector's Edition,' or the Vita game." And here I am, falling into the same trap as his Twitter followers -- asking new questions when old ones are answered. When might we hear more about the portable experience? "Look," he says with an emerging laugh in his voice, "we're working on it. We're trying to figure that [announcement timing] out. I ideally wouldn't have talked about the Vita game when I did. It was understandably important that, you know, Sony wanted us to share that information." "I think it's important that people know that a lot of big developers are very committed to the Vita and making that successful, but generally I like to go out with something to show." Levine says that he tries not to talk about the Vita game because he prefers to show people something, rather than talk about it. "I'd much rather come out with, 'Hey! Here it is.' Because what I describe is not really meaningful, it's what the experience is and what people perceive [from] the experience." Levine says his frustrations about those seeking information regarding his company's projects are ultimately ... kind of silly. "That is such a stupid thing to complain about," he says. "I could have run naked through E3 and nobody would have noticed. Like, 'Who the hell is that guy?'" he jokes, pointing to his years in obscurity before fans took notice of his team's work. "It's very easy to forget to be grateful for that attention and I try to remind myself how lucky I am, how lucky the team is, because people care about what we do." Let us know if your excited about BioShock PS Vita in the comments below!